Rennie Murray & Co. (Pty) Ltd is a wholly owned subsidiary of The Bidvest Group Limited. The company provides marine and cargo surveying and related services to the local and international marine insurance markets, shipping lines and agents, freight forwarders, motor manufacturers and maritime attorneys. Rennie Murray holds the appointment as Lloyd's Agent at Durban, Johannesburg and Cape Town. The Lloyd's Agency appointments in South Africa have been held for over a century. Rennie Murray is also the appointed South African survey agent of WKWebster and Cesam as well as South African correspondents for the Verein Hanseatischer Transportversicherer e.V. and the American Institute of Marine Underwriters. In addition we are the appointed correspondents for the majority of reputable overseas Hull & machinery Underwriters including Gard, The Swedish Club, HDI Gerling, Norwegian Hull Club, Codan and SCUA (Scandinavian Underwriting Agency). 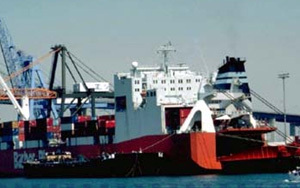 Rennie Murray remains the only company of its type with its own offices at all the major ports in South Africa including the inland port of Johannesburg. We have correspondents at East London and are able to service Richards Bay and Walvis Bay (Namibia) upon request. Staff at the Company's four offices in Durban, Johannesburg, Cape Town and Port Elizabeth undertake surveying services. We attend to claims involving the majority of marine cargoes, including bagged agricultural products, steel, perishable products, electronic equipment, textiles and household & personal effects. We attend to survey assignments involving major marine casualties, general cargo, goods in transit (hijacking and accidents), container theft and fraud. Apart from the reactive service which we provide when a potential claim has already arisen, we have also developed a proactive service in the form of preshipment inspections, risk assessments and discharge/loading surveys. Our service covers cargo carried by sea, road and air. The Durban office is involved in all aspects of our work, from cargo inspections and surveys on sea, road, rail and air shipments to major marine casualties. The office is also available for risk analysis and control measures such as discharge and loading surveys and warehouse inspections. The Johannesburg office specialises in cargo claims on air and sea freight as well as goods in transit. This office is also involved in investigating non-marine claims such as burglary and flood damage. Pre-shipment surveys of cargoes, as well as warehouse inspections, are also conducted. Our Cape Town office also becomes involved in the full spectrum of surveys. Investigations of major marine casualties are conducted by qualified Mariners. The Port Elizabeth office provides surveying and investigative services involving general / containerised cargo and goods in transit. Other services include preshipment inspections, risk assessments and discharge / loading surveys. Survey services are provided at market related rates, based on time accounted for and expenses. A Motor Vehicle Inspection Unit (MVIU) was established in Durban in 1996 to meet the growing needs of major motor vehicle importers and exporters, as well as carriers. The MVIU operates in Durban, Port Elizabeth and East London, and is available on a 24-hour basis. MVIU team members undergo continuous training at clients' premises with the clients' own quality personnel in order to maintain the highest inspection standards as well as to keep closely abreast of model changes. 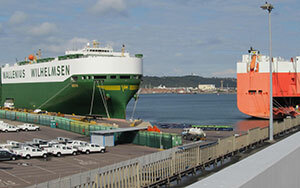 Our client list includes BMW, K-Line, Wallenius Wilhelmsen Ocean, MOL and NYK. Inspections are carried out using handheld data capture units. Data from the handheld is uploaded to the database system in the office and the reports generated in Word or Excel format. Reports may be forwarded to clients by e-mail. Inspection rates are negotiable, and we allow generous volume-related and exclusive support discounts. Marine recovery claims are handled by an appropriately qualified consultant at our Durban office. 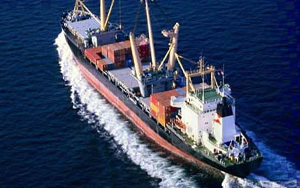 We act as Recovery Agents for most of the international marine insurance companies and institutes. 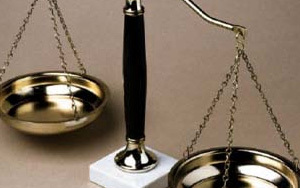 We aim to achieve satisfactory settlements, quickly and cost effectively, in as short a time as practicable without having to resort to lengthy and expensive litigation. The Company's membership of the Maritime Law Association ensures that close relationships are maintained with Southern Africa's leading maritime lawyers and members of local claim/risk departments of the various carriers. Regular interaction and attendance at seminars locally and overseas keeps us abreast with current developments in the marine market, which may impact on the recovery prospects of a claim. We enjoy a good working relationship with the staff of the local correspondents for the International Group of P & I Clubs. Regular meetings are held between our offices to facilitate speedy resolution of claims. Our fees for effecting a successful recovery are calculated on a "no cure - no pay" basis in terms of the current Lloyd's Scale. Andrew joined Rennie Murray in January 2004 and subsequently transferred to Port Elizabeth in order to establish an office in that centre. He was previously employed as a cargo surveyor in Durban and Richards Bay. Andrew has also worked for a firm of local brokers as a hull risk assessor (pleasure craft). In September 2006 he once again returned to the Durban office to be appointed Branch Manager in August 2007. Andrew was appointed a Director of the Company in 2017 and Managing Director in 2018. Adam joined Rennie Murray in 2001 and has 10 years of general cargo surveying experience. He has extensive experience of both major claims arising out of theft and damage, as well as Goods in Transit claims and stock throughput claims. P&I surveys are also conducted for various P&I Clubs at the inland port of Johannesburg at the request of the local P&I correspondent. Adam was appointed Branch Manager of the Johannesburg office in 2011, following the retirement of Gill Baker. Marius joined Rennie Murray & Co. in July 2007 after 18 years in the Freight Forwarding and Road Transport sectors. Marius initially oversaw the company’s Motor Vehicle Inspection business in the ports of Durban and Port Elizabeth. He was later instrumental in establishing the company’s operations in East London which led to the opening of an office there in 2015. Marius is a very hands on leader of Rennie Murray & Co.’s Motor Vehicle Inspection business regularly attending operations at each of the 3 ports that this business services. Shane joined Rennie Murray in December 2003 as a trainee surveyor at the Durban office. Shane has worked his way through the ranks to head up the survey department in Durban while also overseeing surveys that take place in the East London and Port Elizabeth offices. Experienced in a huge variety of cargoes Shane has seen all types of claims. He is vastly experienced and respected for his insurance knowledge in the local market and with our overseas clients. Shane has travelled on survey assignments throughout South Africa, into various of our neighboring countries and into central Africa. Nathan joined Rennie Murray Cape Town as a trainee surveyor in 2013. Prior to joining the company he sailed onboard various foreign going cargo vessels. Subsequent to coming ashore in 2006 Nathan gained sound experience in marine cargo clearing, road freight logistics and offshore supply operations. During his employment at Rennie Murray Nathan has conducted and overseen surveys at various destinations in South Africa and Namibia. As of September 2018 Nathan is the Surveyor in Charge at the Cape Town office. Our available salvage tenders may be viewed by buyers who have been registered and approved by Rennie Murray. If you have an account already you can login with your details below. If you do not have an account, please visit the registration section and fill in your details, you will be able to login once you receive e-mail notification. If you check this option, anyone with access to your computer will be able to log into Agents. To become a registered salvage buyer please click the link below and fill out the form. Copyright Rennie Murray & Co (Pty) Ltd © 2016. | STC | Website developed by WildWeb.